Australia appeals to immigrants for many reasons not least of all the weather. 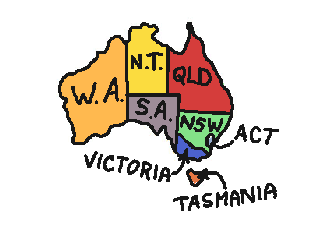 Ahead of arriving though, it is easy to not really grasp the sheer size of Australia and make assumptions about what living in one place or another might be like. Read on for a quick guide. 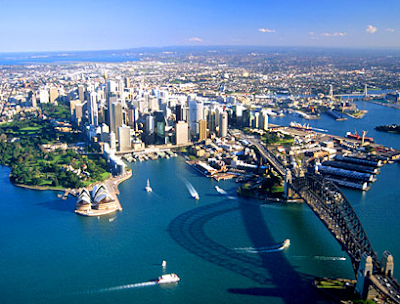 Australia is simply enormous and the distances between places are frequently underestimated. When Aussies say 'it is just up the road’ it is common to discover it to be a several-hundred kilometre trip. Prepare yourself for some long drives if you are seriously contemplating moving to Australia, especially if you will live in rural Australia. Long drives aside though, one of the positives about this is that whatever weather you enjoy will be available to you somewhere in Australia. For hot and dry weather the best place to go is Western Australia. Summer (that’s December to February at this end of the world) in South Western Australia is glorious with hot dry days and evenings offering respite from the heat. The climate in this corner of Australia is very similar to Europe. It gets hot in summer, but it also gets cool in winter, while never really getting cold. There is no humidity though and although rainstorms come rolling through fairly regularly in winter, there are no hurricanes. There are lots of flies in summer though, so you may find yourself developing an 'aussie wave' (ie batting them off with one hand). There is also lots of stunning coastline where you will rarely find the beach busy and can often find that you have the beach to yourself in fact. The North and North East of Australia is mostly hot and in summer, extremely muggy. The top third (roughly) of Australia lies North of the Tropic of Capricorn and is therefore tropical, getting hotter and more humid, the further North you go. It is reliably warm most of the year . Tropical storms and cyclones crop up occasionally and something else worth mentioning, is that most of the Northern Territory, and far north Queensland, is crocodile country folks. Most beaches display warning signs and crocs have even been found waiting at bus stops in central Cairns. The sea is safer from crocs in southern Queensland and if you just cannot resist taking a dip most beaches have jellyfish nets in jellyfish season. The South Eastern corner of Australia has the most going on. This corner of Australia is very densely populated and busy with lots of leisure activities available. It also has the most varying climate. It is cold enough for coats and scarves during winter (June – October) and there are snowfields where it is possible to ski near Sydney in the Snowy Mountains but it also gets really hot in summer. It is perfect if you enjoy the different seasons, but you will need both winter and summer wardrobes. This area includes most of the largest settlements. If you prefer a busier lifestyle then this corner of Australia will keep you occupied. 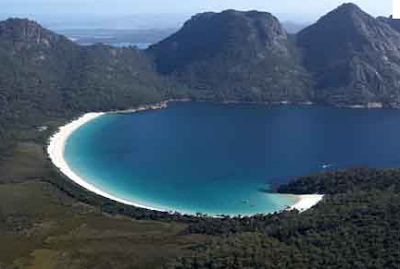 The world’s biggest icebox (aka Antarctica) keeps Tasmania cool year-round. Not being attached to the mainland, Tasmania has a more remote feel than a lot of the rest of Australia and a lot of countryside. Tasmania offers a quiet country lifestyle. The temperatures vary from cold to warm. So if you don’t handle heat well Tasmania might be the place for you. The most important thing really if you are migrating, is to spend as much time as possible in the area you plan to move to ahead of committing to a place and do as much research as you can. The more experience and knowledge of a place you have the more confident you can be about moving there. I would always recommend renting rather than buying in your first year. If you are good at making quick decisions though, perhaps a vacation home would work for you. There are plenty of rentals in Australia to choose from which allow you to live normally without committing to a tenancy. Australia offers so much variety, it really does have a place to suit almost any lifestyle. If it is cold European winters that you seek to avoid, then it can certainly offer an escape. Which climate do you prefer to holiday or live in and why?